Short biography and b/w-photo of the NOC-officials and the Olympic sporters: Archery, Boxing, Canoeing, Cycling, Equestrian, Fencing, Gymanstics, Handball, Judo, Rowing, Shooting, Swimming, Track and Field, Weightlifting, Wrestling and Yachting. Incl. Swedish medal-winners 1948-1968. Categorie: Olympische Spelen. Tags: Olympic Games 1972, Sweden. 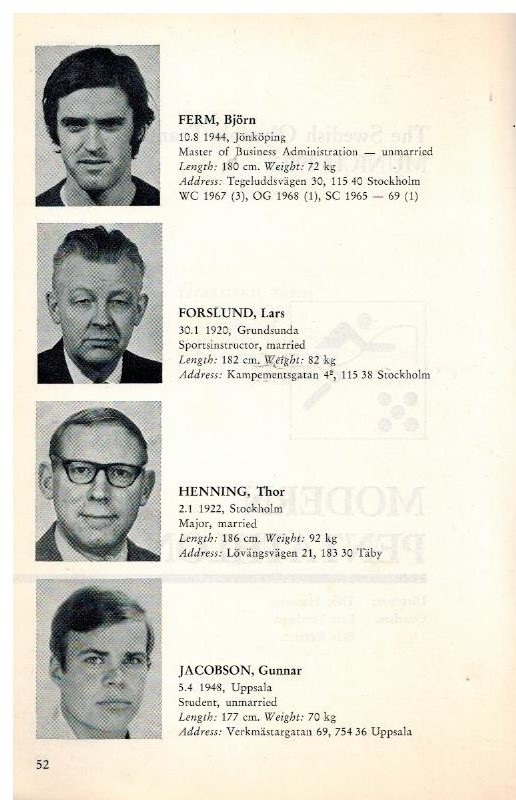 The Swedish delegation at the Olympic Games in Munich 1972. Short biography and b/w-photo of the NOC-officials and the Olympic sporters: Archery, Boxing, Canoeing, Cycling, Equestrian, Fencing, Gymanstics, Handball, Judo, Rowing, Shooting, Swimming, Track and Field, Weightlifting, Wrestling and Yachting. Incl. 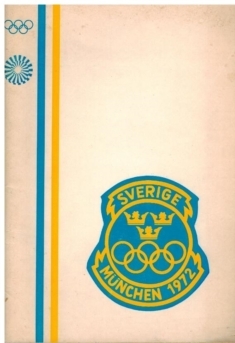 Swedish medal-winners 1948-1968.